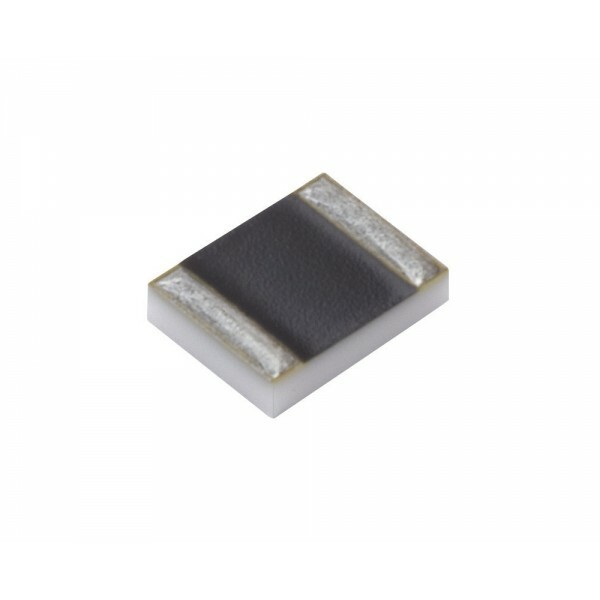 Additional Features Ultra-precision 2-terminal current sense resistor which utilises Alpha's Bulk Metal® foil technology with flip-chip package. Working temperature range of -65°C to +155°C and a maximum rated operating temperature of +70°C. 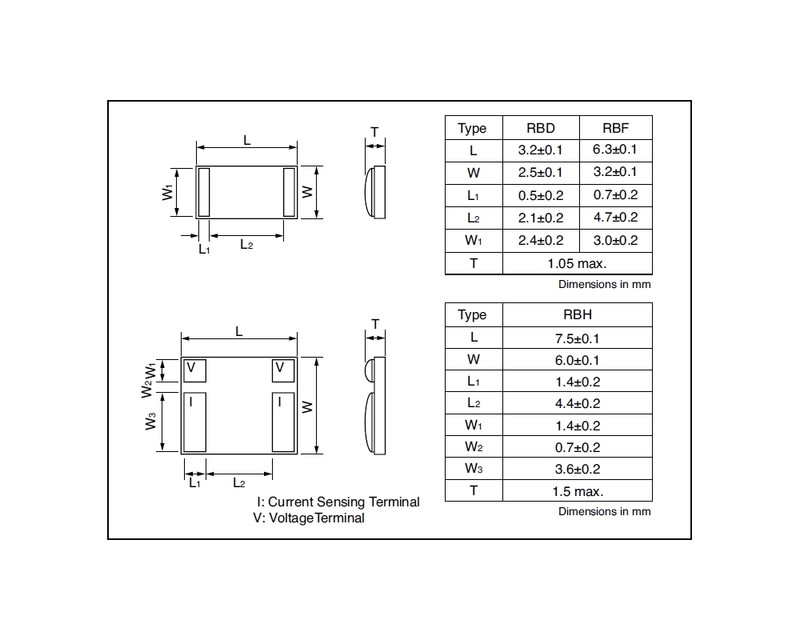 The RBF ultra-precision current sense resistor series from Alpha Electronics offers low resistances of between 0.01Ω and 1Ω all in a small 2-terminal flip-chip package. 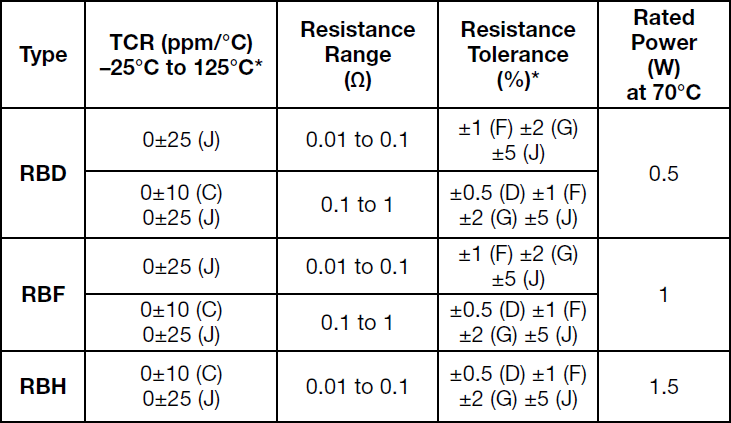 By utilising Alpha's Bulk Metal® foil resistor technology, they are able to offer low tolerances down to ±0.5% as well as a low TCR of ±10 ppm/°C (between -25°C and +125°C) both within the resistance range of 0.1Ω to 1Ω.Ultra-precision current sense flip-chip resistor .. The RBH ultra-precision current sense resistor series from Alpha Electronics offers low resistances of between 0.01Ω and 1Ω all in a small 4-terminal (Kelvin connection) flip-chip package. 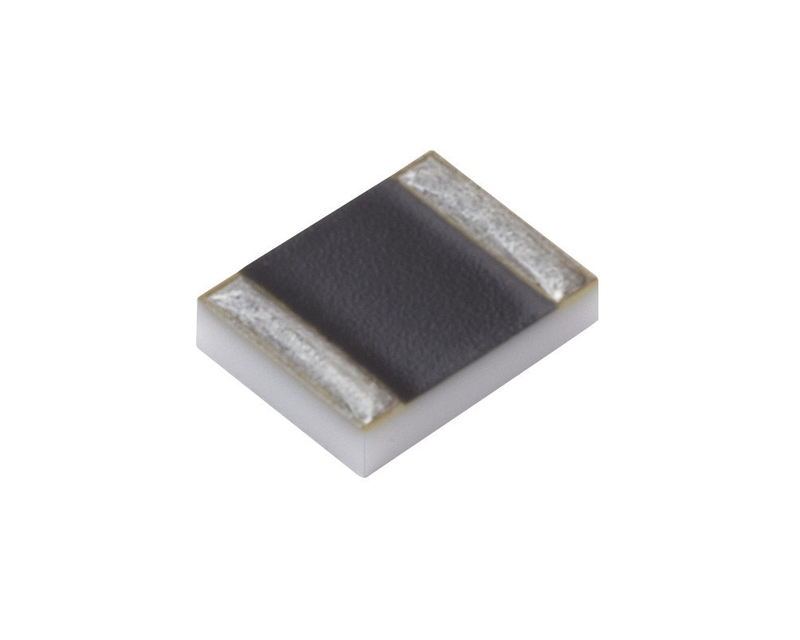 By utilising Alpha's Bulk Metal® foil resistor technology, they are able to offer low tolerances down to ±0.5% as well as a low TCR of ±10 ppm/°C between -25°C and +125°C.Ultra-precision current sense flip-chip resistorAvailable in any resistanc..